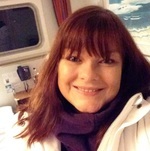 Hi, I'm Liz, a qualified Personal Performance Coach and NLP Practitioner. I've been involved in coaching for many years, initially as a Manager and Talent & Development Leader in the retail and financial service sectors and now, as a fully qualified Coach. I have experienced first hand the difference coaching can make to people as they gain clarity on exactly what they want, make decisions and take action. I LOVE seeing people's excitement when they realise what they can achieve with even a small amount of coaching. I work with clients on a variety of topics including overcoming procrastination, building their confidence, establishing and growing their own business, and career change. Coaching allows them to make a change, to take control. I support clients by helping them to organise their ideas and potential obstacles, to deal with the doubts that may be holding them back and by challenging them to push themselves. I do this by sharing processes and tools that allow them to continually develop their skills and achieve their true potential. As well as one to one coaching, I also develop and deliver training programmes for businesses and MBA programmes in areas such as "Presenting Yourself for Success", "Influencing Skills", and "Leading Teams". I KNOW coaching works - because having some fantastic coaches has helped me to be where I am today - somewhere I'm doing work that I love, and feeling happy with my life! "Liz has got a natural ability to create immediate rapport which makes it incredibly easy to look deeply into things and explore even the most difficult and uncomfortable topics. "